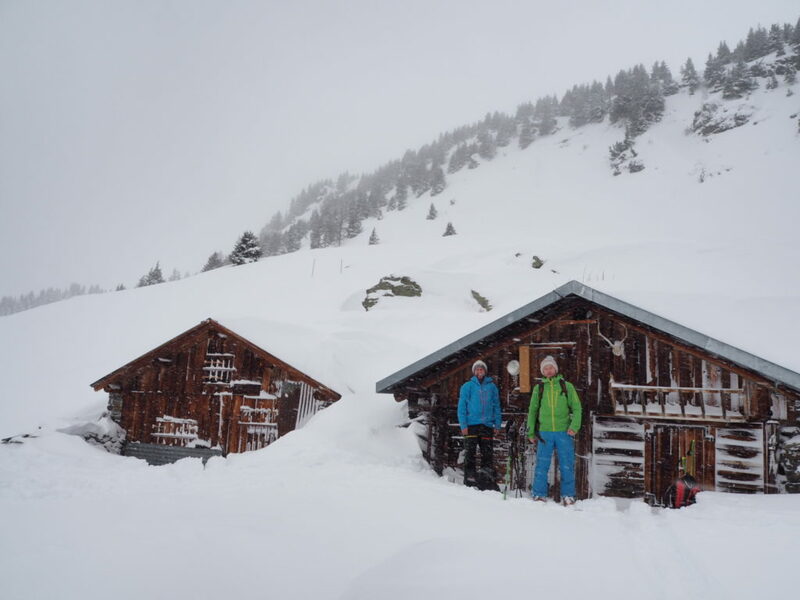 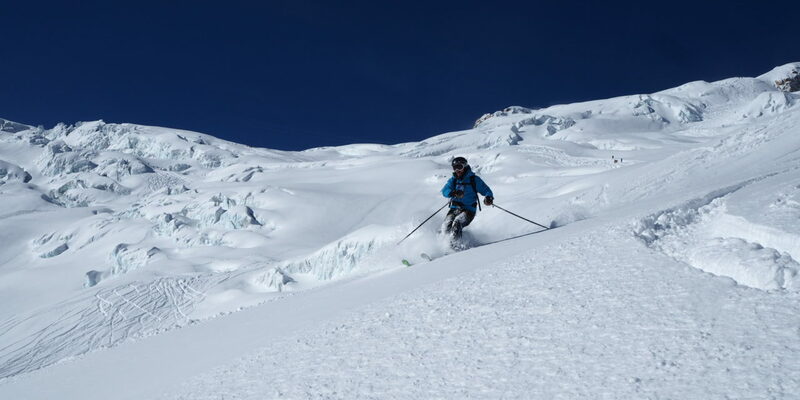 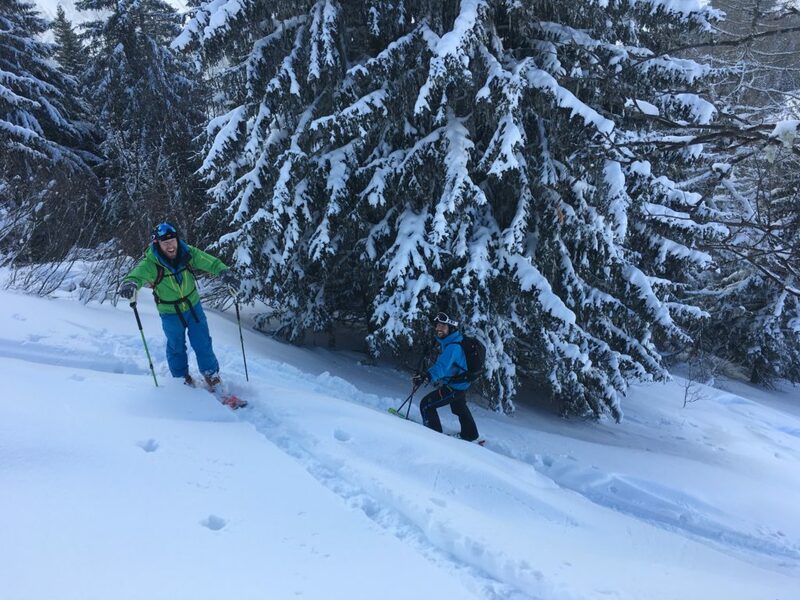 It seems like we’ve been treated these past couple of weeks, with a good top up of fresh snow on multiple occasions giving some fantastic skiing in and around Chamonix. 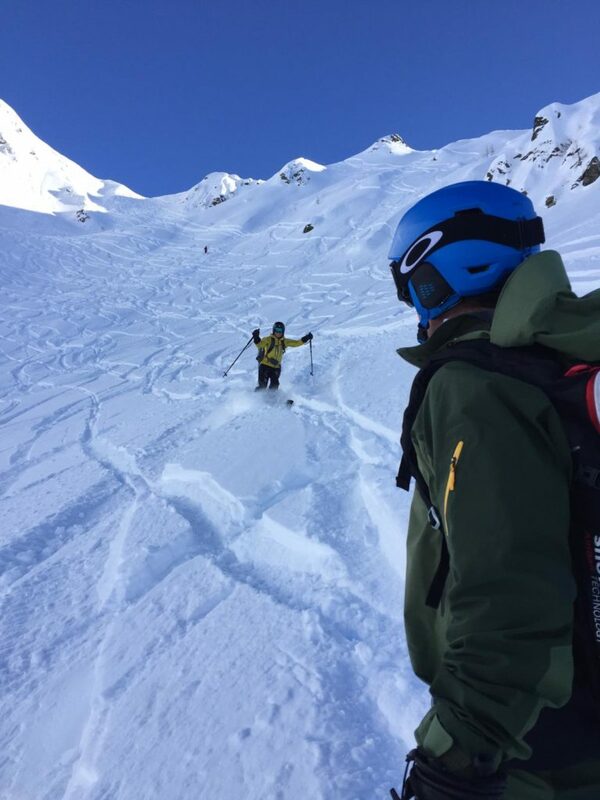 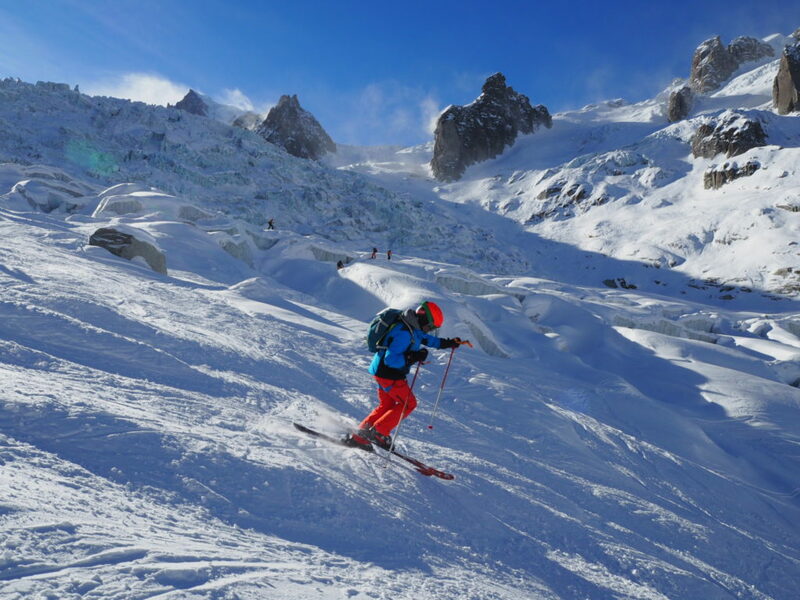 We have been busy guiding regular and new clients, on a variety of days including the Vallee Blanche, Grand Montet and some less frequented ski tours in the Chamonix valley and close by. 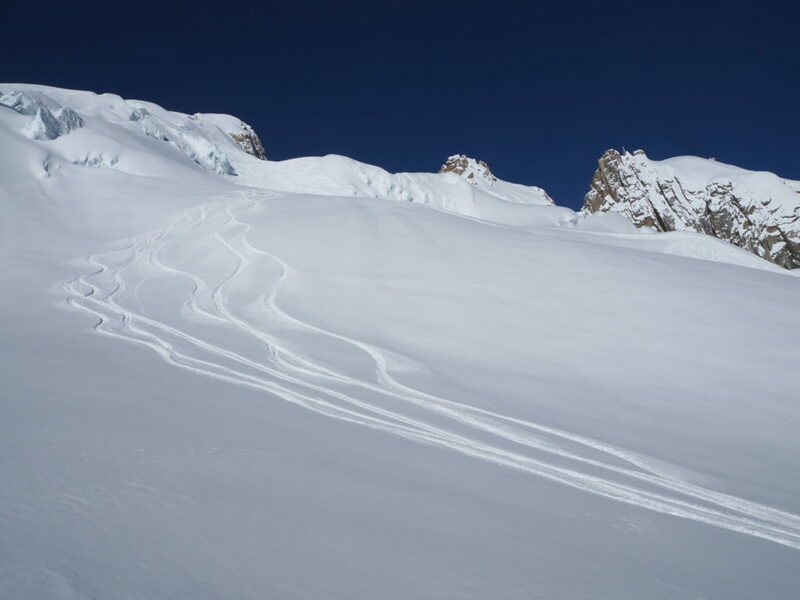 The conditions in the Vallee Blanche are really good now with the classic routes well filled in all the crucial places. 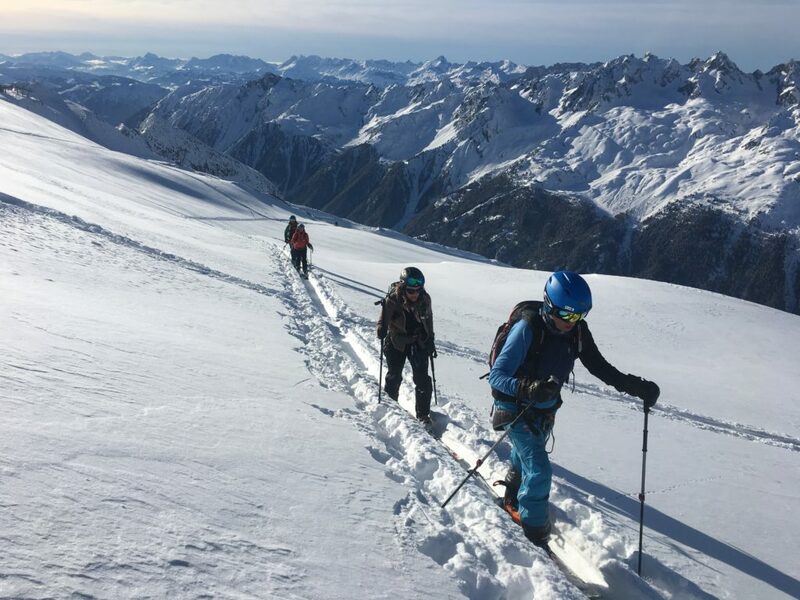 This week we are away touring in the southern alps. 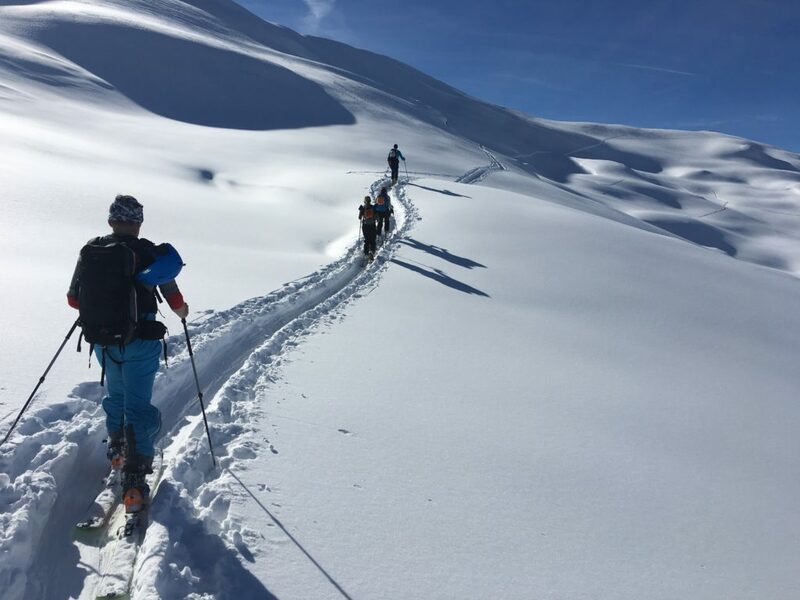 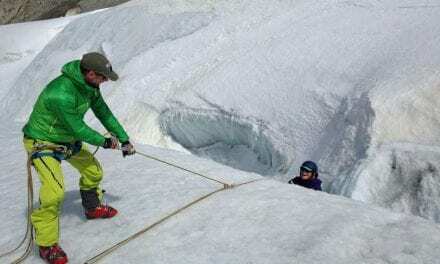 There are some extra Chamonix group trips in the pipeline so keep an eye on our scheduled trips page for updates. 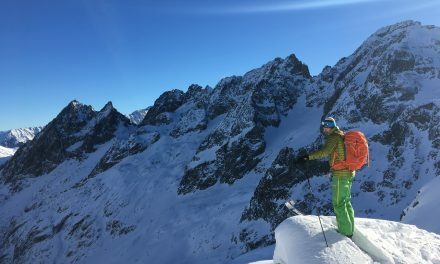 You can’t beat the Aiguille du Midi for lift accessed terrain! 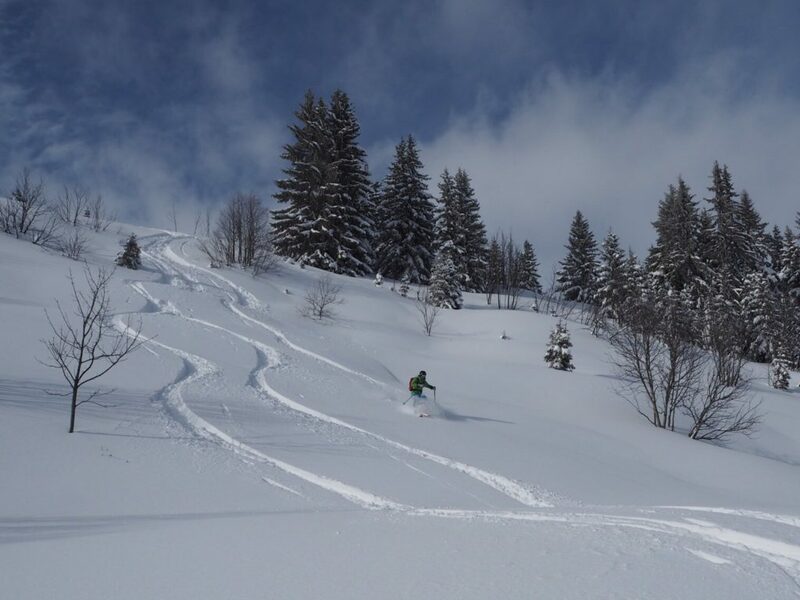 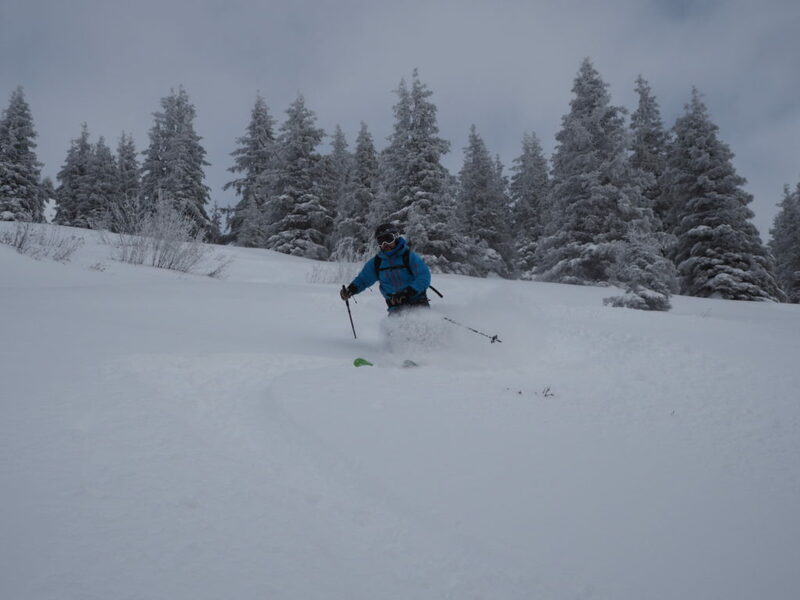 Tree skiing around Combloux – loads of good terrain here and one of our regular ski touring venues. 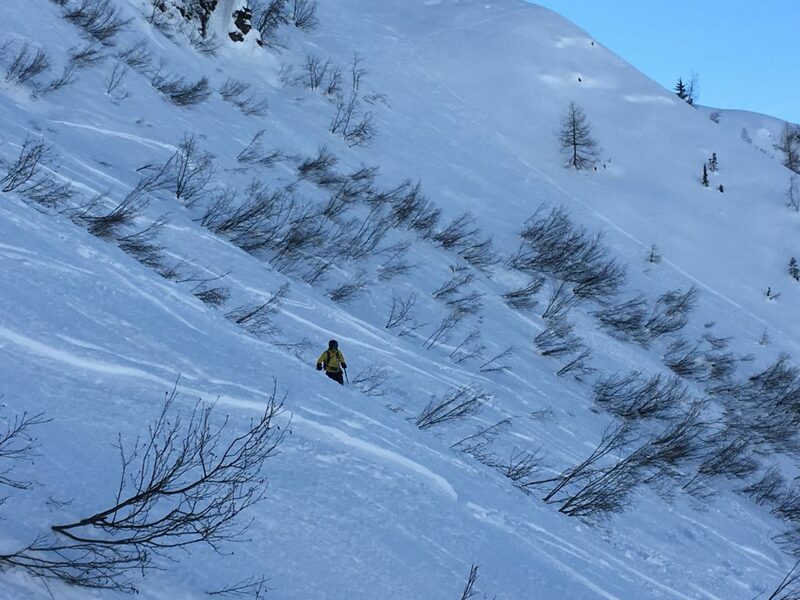 More Combloux photos – low angled safe terrain on an otherwise risky day. 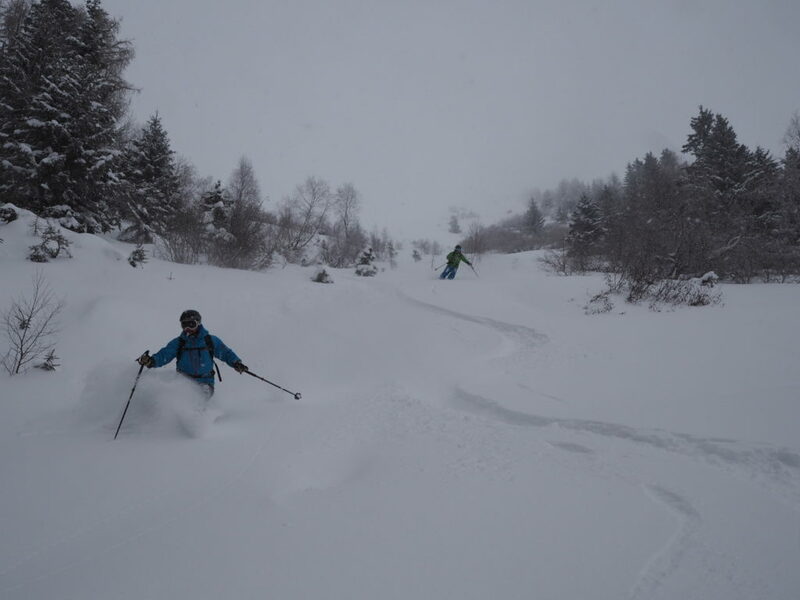 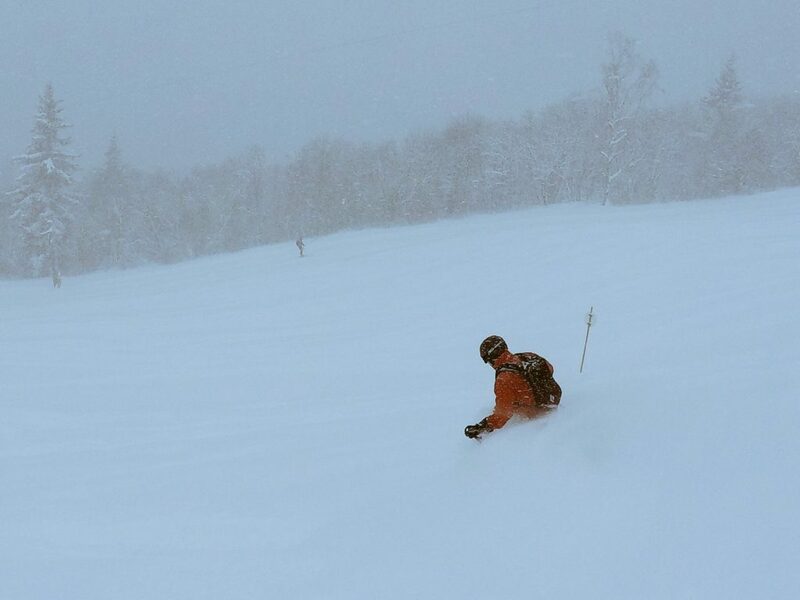 Storm skiing around Les Houches. 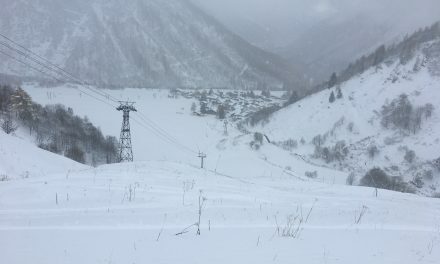 Almost waist deep snow next to the piste. 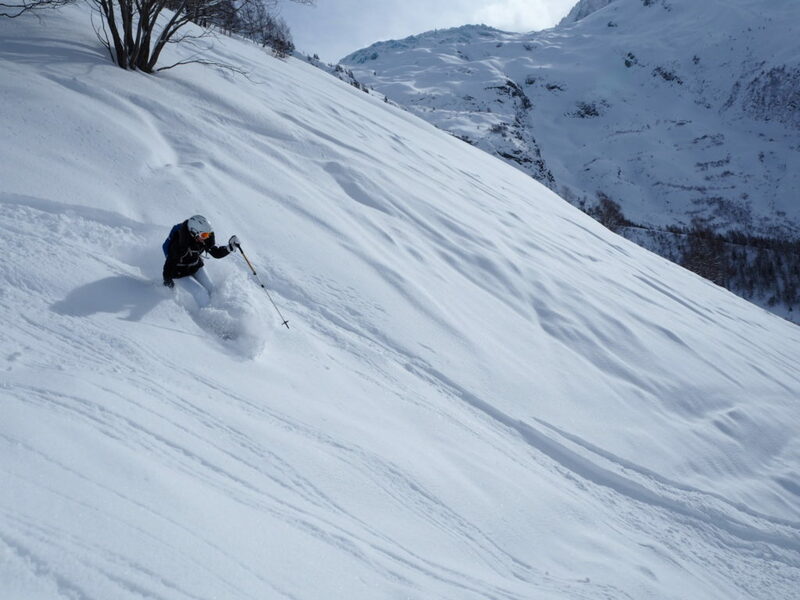 Off piste skiing at le Tour, the head of the Chamonix valley. 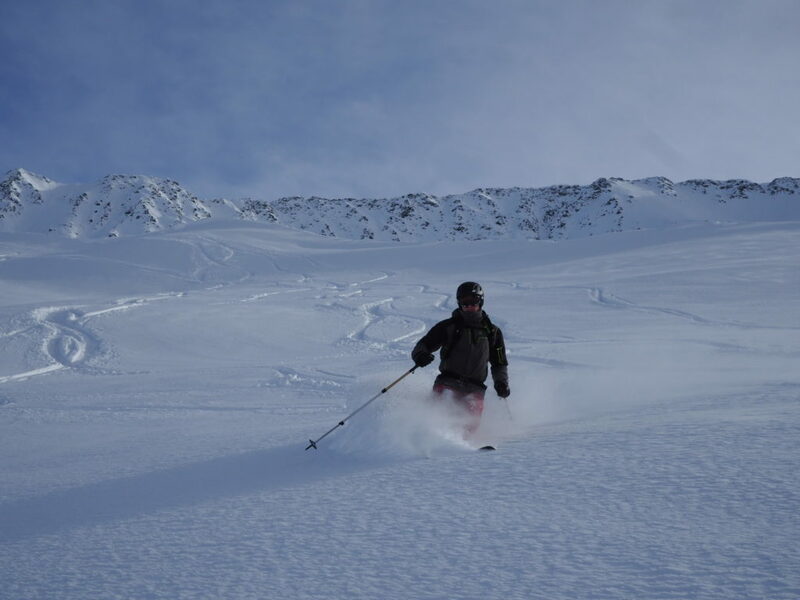 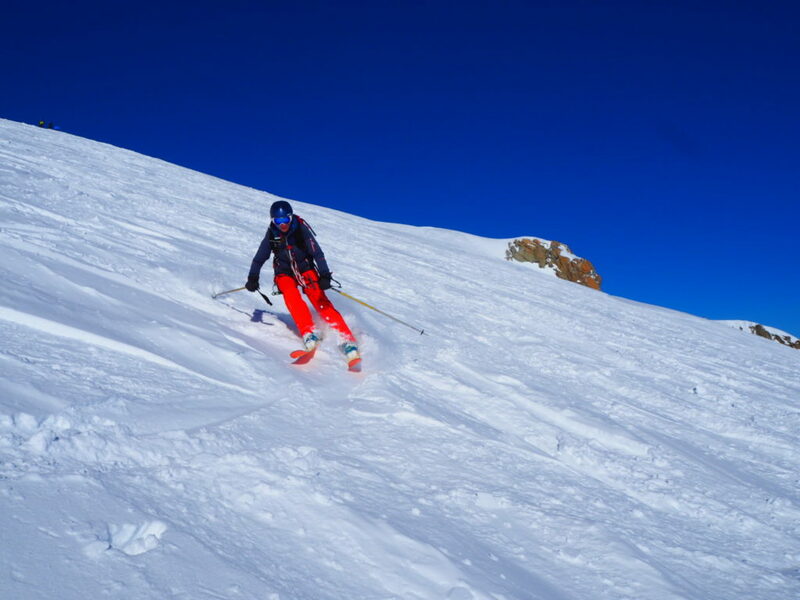 Ski touring at the Grand Montet. 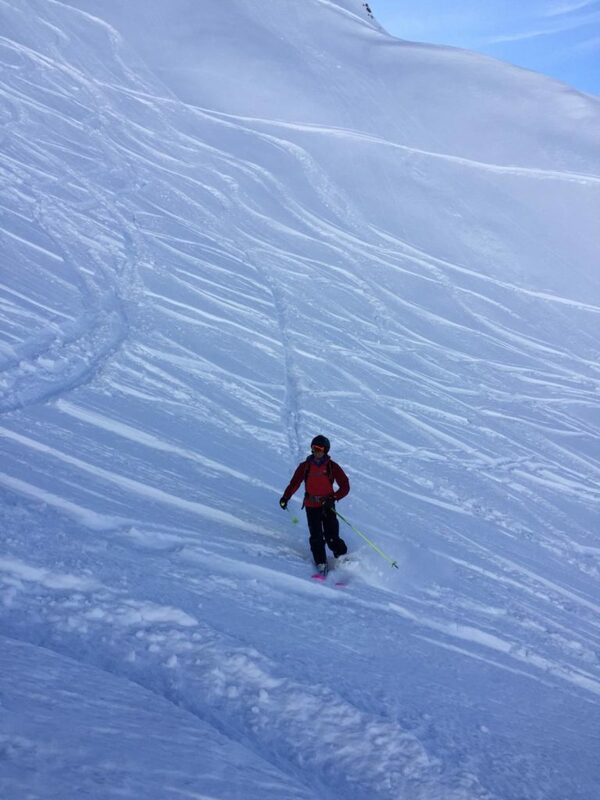 As the top lift isn’t open (due to the autumn fire), the Grand Montet has turned into a ski tourers domain. 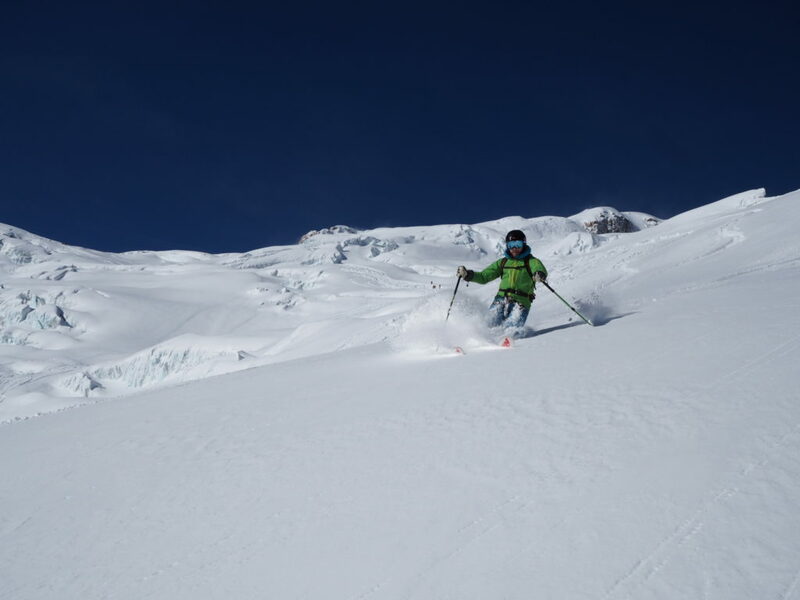 Happy skiers on cold north facing snow.